By the 1960s, the asbestos industry was worried that it could no longer suppress the evidence about the harm to health caused by asbestos and that, as this fact became known, the industry’s continued existence was in jeopardy. Ninety-five percent of all asbestos sold in the 20th century was chrysotile asbestos, with all other forms of asbestos representing only 5%. Today only chrysotile asbestos is sold. Since it could not continue denying the deaths being caused by asbestos, the industry chose, as a survival strategy, to claim that it was other forms of asbestos that were hazardous and caused asbestosis, mesothelioma and other cancers, while chrysotile asbestos was virtually harmless, unless a worker was exposed to astronomically high levels of chrysotile asbestos fibres over a long period of time. 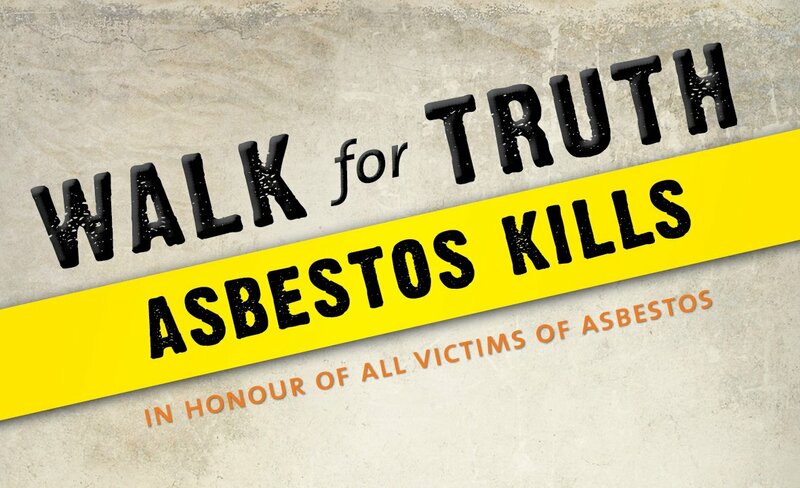 Thus was born the asbestos industry’s propaganda strategy, still practiced today, which claims that chrysotile asbestos can be “safely used” under “controlled conditions”. All reputable scientific agencies reject this propaganda as misleading, dangerous and false. More than half of QAMA’s funds were provided by Johns-Manville. The Chairman of QAMA’S Institute of Occupational & Environmental Health was Karl V. Lindell, Chairman of Canadian Johns-Manville Co. Limited. The other members of the Institute’s Board of Directors were the presidents and vice-presidents of the leading Québec asbestos companies. QAMA provided over a million dollars for McDonald’s research, which followed the health of 11,000 miners and mill workers in Quebec between 1966 and the late 1990s. McDonald’s research claimed that chrysotile asbestos was virtually harmless, unless workers were exposed to astronomically high levels of asbestos fibres, and that mesothelioma was essentially not caused by chrysotile itself but rather by tiny amounts of tremolite asbestos, that were present in some Quebec mines. McDonald did not, however, provide any data showing in which mines tremolite was present and in which mines it was not. According to McDonald, exposure of 45 f/cc (fibres per cubic centimeter pf air) of chrysotile asbestos fibres for 20 years would cause no harm to a worker’s health. McDonald’s research was extraordinarily valuable to the asbestos industry in defeating efforts by unions in Québec and across Canada to obtain better safety regulations to protect workers from being exposed to high levels of asbestos fibres. In 1975, when asbestos miners and millers in Québec went on strike for better working conditions, the permitted exposure level (which was not even enforced) was 10 fibres of asbestos per cubic centimetre of air (10 f/cc), which is one hundred times greater exposure to asbestos fibres than is permitted across Canada, in the US and in Europe today and a thousand times higher than permitted in several European countries. The biggest obstacle the workers faced was McDonald’s research, which claimed that high exposure levels caused no harm. McDonald’s service to the asbestos industry went to such an extent that he even personally intervened in foreign countries to oppose improvement of health and safety regulations to protect workers from asbestos harm. In 1972, the US Occupational Safety and Health Administration (OSHA) was holding hearings on the recommendation by the US National Institute for Occupational Safety & Health and the US trade union movement to lower permitted exposure levels for US workers to 2 f/cc, which standard had already been enacted in the UK. The Senior Vice-President of Johns-Manville, Henry Moreno, made a presentation to the OSHA hearing opposing the stricter safety regulation, arguing that it would cost Johns-Manville capital expenditures of 12 million dollars and operating expenditures of 5 million dollars per year, if the proposal to lower the permitted asbestos exposure level to 2 f/cc were to be approved by OSHA. After Mr. Moreno’s presentation, Prof. McDonald, using his prestige as the Chair of the Department of Epidemiology of McGill, then made a presentation in support of Mr. Moreno’s position that the permitted exposure level not be lowered, recommending an exposure regulation of between 5 and 9 f/cc. Furthermore, Prof. McDonald told the OSHA hearing that he had no connection whatsoever with any asbestos company. This is categorically untrue. Prof. McDonald was, at the time, working closely with Johns-Manville and his research was being financed by Johns-Manville and the Québec Asbestos Mining Association. In 1999, Prof. McDonald made a presentation to a Parliamentary Commission of the Brazilian Parliament, arguing that chrysotile asbestos can be safely used and opposing a proposal to ban asbestos. In 2000, McDonald appeared as a witness at a hearing of a World Trade Organization tribunal to argue that countries should not have the right to ban chrysotile asbestos as, McDonald claimed, chrysotile asbestos is virtually innocuous and can be safely used. Prof. McDonald continues today to claim that chrysotile asbestos is virtually harmless and he encourages its use in developing countries. In 2009, Prof. McDonald, who now lives in the UK, returned to McGill, where he was given an Emeritus Research award. 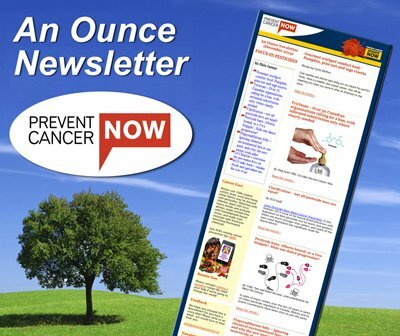 In 2003, Dr. David Egilman of Brown University published an article, ABC, Anything But Chrysotile, putting forward evidence arguing that McDonald’s research was flawed, lacked transparency and contained manipulated data. Dr. Egilman had, in fact, in 2002 made a complaint to McGill alleging possible fraud and possible fabrication of data by Prof. J.C. McDonald. McGill dismissed the complaint in two brief paragraphs of a letter of January 2004, which provided no meaningful response to Dr. Egilman’s allegations but simply stated that Prof. McDonald followed the “highest scientific standards”. The financing of McDonald’s research by QAMA, the inappropriate and, indeed, criminal behaviour by QAMA executives to suppress evidence of disease amongst Québec asbestos workers, and the allegations raised by Dr. Egilman were examined by a CBC documentary in February this year. For a second time, on February 10, 2012, a complaint was submitted to McGill expressing concerns about Prof. McDonald’s research. This time, the complaint was submitted by dozens of prominent health researchers and medical experts from across Canada and around the world. The scientists called for a proper, transparent, independent investigation. An additional letter was sent to the McGill Board of Governors by asbestos victims, asking that McGill stop supporting the use of asbestos, as it has done in the building of its new mega-hospital, stop inviting a leading Québec asbestos exporter, Roshi Chadha, to sit on its Board of Governors, and that McGill support the call of the World Health Organization for an end to any use of asbestos. To date, McGill has not responded to the request by asbestos victims or to the request by leading scientists for a proper, transparent, independent investigation. Instead, the president of McGill’s Board of Governors put out a statement lavishly praising asbestos exporter, Roshi Chadha, and encouraging her to return to McGill’s Board. It seems that McGill has little respect and little sympathy for asbestos victims. McGill officials also made a series of self-serving and inaccurate statements, praising and defending Prof. McDonald. A secretive, internal review was carried out by the present Chair of McGill’s Department of Epidemiology. Subsequently, the Vice-Principal (Health Affairs) of McGill, stated that the review had not found evidence of research misconduct, but that that the Faculty did not currently have all required records and data in hand to assess definitively in regard to research integrity. On April 4, the Vice-Principal stated that he had consequently asked for additional guidance from the office of McGill’s Research Integrity Officer. seeks to increase knowledge in ways that do not harm but which benefit society. 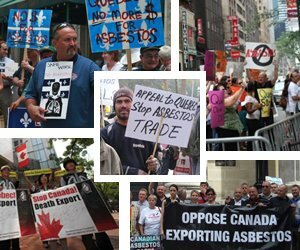 Kathleen Ruff is a major contribute to PCN’s Ban Asbestos Campaign and is founder of RightOnCanada.ca and the author of Exporting Harm: How Canada markets asbestos to the developing world. Click here to read more from Kathleen Ruff.